Stone tools believed to be used by Neanderthals. 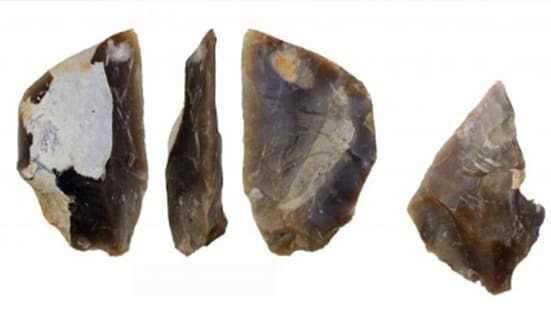 Archaeologists in Poland have discovered a giant 60,000-year-old flint workshop that they believe was used by Neanderthals to make thousands of stone tools. So far, the researchers have recovered some 17,000 stone products from the site, believed to be the first large Neanderthal workshop to be discovered in Central Europe that is not located inside a cave. 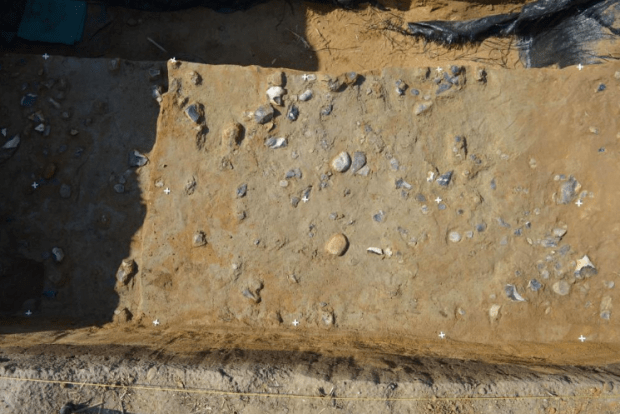 Before this discovery, it was thought that such large collections of flint tools weren’t accumulated until much later, among modern humans living between 40,000 and 10,000 years ago. Scientists also believed that non-cave-dwelling Neanderthals didn’t settle in one place for long enough to leave much of a mark on their surroundings, beyond individual tools or other artifacts. The discovery of the 60,000-year-old Neanderthal flint workshop in Pietraszyno challenges both these assumptions. Since 2018, reported Science in Poland, Dr. Andrzej Wiśniewski from the Institute of Archaeology, University of Wrocław has been conducting joint excavations at the site in Pietraszyno (Silesia), along with researchers from the Max Planck Institute for Evolutionary Anthropology in Leipzig. The archaeological site Dr. Andrzej Wiśniewski and his team from the Institute of Archaeology, University of Wrocław discovered the tools. He and his fellow archaeologists were also able to trace the process used to make the tools from start to finish, as well as determine which tools had been used and which had not. They believe some of them were used to cut meat, as evidenced by the animal remains found next to them. The fact that very few types of tools were made in the workshop suggests that the tool-making activities “were socially agreed upon and served the common goals,” according to Wiśniewski. Close relatives of modern humans, Neanderthals are thought to have appeared in Poland around 300,000 years ago. Archaeologists have found older stone tools linked to Neanderthals (200,000 years old) on the Vistula River, while the oldest Neanderthal remains discovered in Poland—the bones of a child’s hand, which had been digested by a large bird—date back more than 100,000 years.